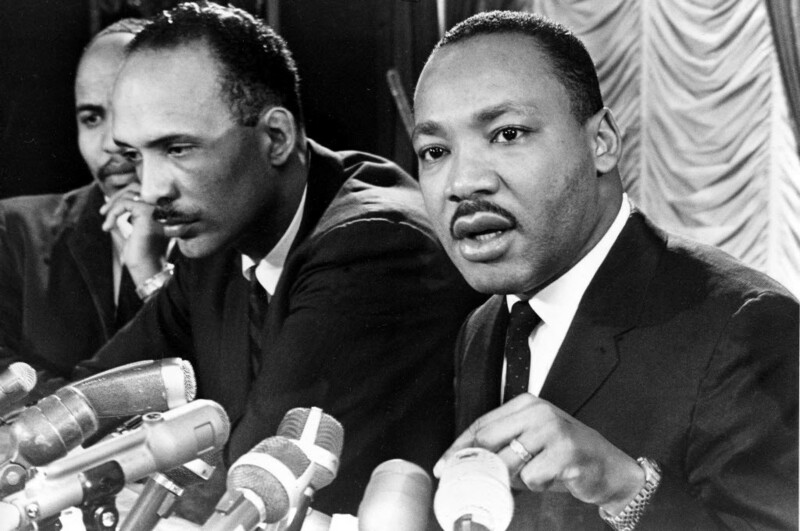 King speaks at a news conference in Chicago on Jan. 7, 1966. The Reader's archive is enormous, going back to 1971. Every day in Archive Dive, we'll dig through and bring up some finds. Today is Martin Luther King Day. Last year, Renata Cherlise, creator of Black Vrchives, "a curated visual journey through history," teamed up with Danielle A. Scruggs, the Reader's former director of photography, to create this video composed of photos from the Sun-Times archive. "Nearly 50 years [after King's march in Marquette Park]," they wrote, "Dr. King's dreams can still be heard echoing through the streets of Chicago in vigils, parades, protests, murals, and strolls along King Drive, formerly known as South Park Way." But how much actually changed for black Chicagoans? In August 2013, the 50th anniversary of "I have a dream" speech, Steve Bogira wrote that King's dream mostly remained unrealized. "Dr. King's dreams can still be heard echoing through the streets of Chicago in vigils, parades, protests, murals, and strolls along King Drive."